The 2016-2017 season ended last weekend at Mont SUTTON. The season ended with a lot of skiers and snow in attendance. 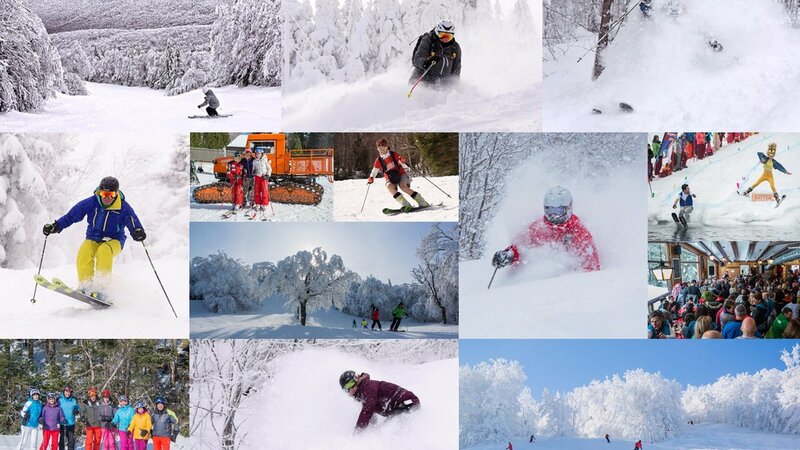 It was a successful year in customer traffic, natural and artificial snow, many activities and a freak snow storm! The new owners are ending the season on a good note. A year comparable to some of the best, and totally unlike last year. The heavy snowfalls, including the amazing one where a meter of snow fell in 24h, brought happiness to all skiers and boarders alike. One remarkable fact this year: if the snow was there, skiers were also there, more so than in past snow storms. What’s more, the Friday pass and the Little pass hit a record high this year. Half a million dollars was invested in the beginning of the season in the snowmaking system. “We saw a genuine difference with the new snow guns, says Luc Boulanger, Director of Operations at Mont SUTTON. They are more efficient, it allowed us to start the season off right, and to maximize the cold snaps”. A lot of ski enthusiasts noticed the difference and the upgrade of the snow conditions thanks to the new snow guns. SUTTON Snow School also experienced great success with its Three Peat Performance package. All quantities of the package that was put together to initiate and equip children were sold out in record time. As for Bar Le Tucker, Open Mic Thursdays became the place to be for an increased number of people. New ownership, new investments, snowy holidays, historical snow storm, fantastic spring skiing with almost 100% of the domain and beautiful sunny days… the 2016-2017 season will definitely stay with everyone for a very long time!